Like many people, I am still in a state of shock from learning of the death of actor and comedian Robin Williams yesterday. When my son posted an image from the movie Hook — hardly one of Williams’s best known films — on Instagram, I realized how much his work was a part of our family’s life for more than two decades. Hook, a Peter Pan remake that cast Williams as an overworked, inattentive father who had all but forgotten his rebellious past as the leader of the Lost Boys, resonated deeply with my son, who engaged my husband and me in swordfights and other reenactments of the movie for years. (Derrick’s swordfighting ability would later come in handy when he won a role as Montague family servant Balthasar in a high school production of Romeo and Juliet.) With or without our children, Richard and I saw at least another dozen of Williams’s films, as well as the TV series Mork & Mindy, which brought the actor to national prominence (and which predated our children by a decade). Rest in Peace to the man that has made us laugh for many many years while he has been hiding the sadness and depression. May be be remembered for the happy times and laughter that he brought all of us. I honour him the only way I know how. And remember if depression is bringing you down, ASK FOR HELP! It may not feel like help is there, but it is, ask, reach out to someone you trust or someone anonymous. It’s never worth suicide. Don’t rob the world of someone to love. My own photo was inspired by Harleyquin’s comment, as well as a character from my forthcoming novel, SURVIVING SANTIAGO. I’m one of those people who doesn’t like to stand out or draw attention to myself, perhaps a reaction against the relentless bullying I experienced in middle and high school. However, I’ve always admired people who stand up for what they believe, whether it be putting themselves in danger to bring down a brutal dictatorship or expose corruption or corporate malfeasance, or opening up about their own struggles in order to help others. People who bring pleasure to others through their musical, acting, or comedic talents — in this way exposing their lives, ambitions, and feelings — often do so out of great pain, and the pressures of this very public life can lead to further stress and pain. The wealth and fame that celebrities enjoy — whether major celebrities like Williams, or minor celebrities like the protagonist’s father in my novel — often comes at a steep price. I am grateful for the body of work that Robin Williams gave us, which means a lot to me personally because it brought my family together. His work will endure in our memories and in the various formats in which it has been preserved. I am sorry that he suffered as much as he did. I hope that with the tributes and memories comes greater understanding of what moved him to create and the risks he took to make us laugh. 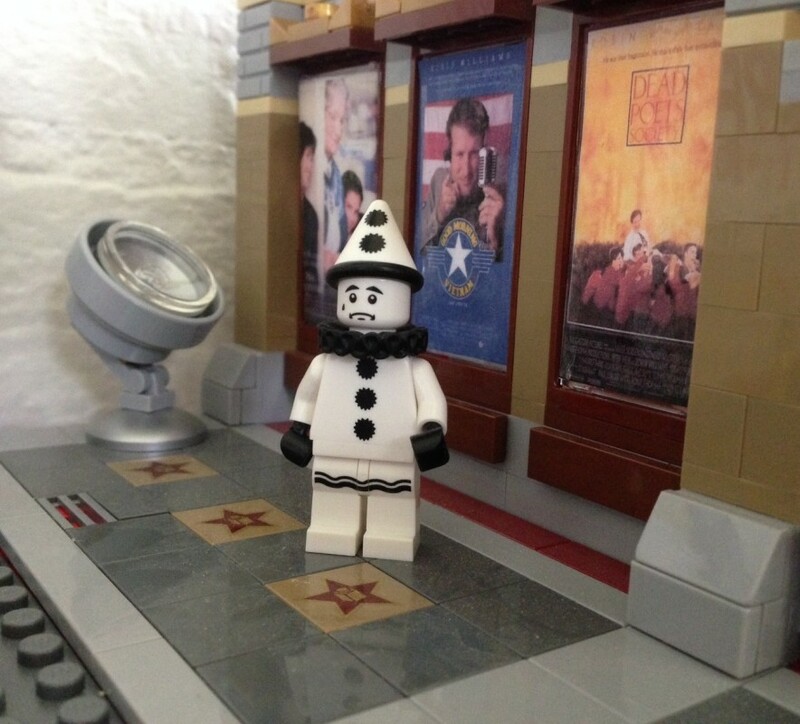 My own Lego tribute to Robin Williams. Thank you for reading it, Pam. I’ve been hearing a lot of “let’s not think about how he died; let’s just remember his work.” Unfortunately, that perpetuates the silence about depression and treats it as something to be ashamed of rather than an illness that can be deadly if left untreated. A sensitive, hillarious, smart& unparalleled spark of madness. But in a way that’s true of us all, and I appreciate Harleyquin for reminding us of that. I remember watching Hook with you and Derrick. This was a very touching tribute, Lyn. I’m so glad that Robin Williams existed. It’s wonderful that in addition to making us laugh (and marvel), his humor also helped make family members feel closer as they shared the laughter. Thank you, Fran. Great humor brings people together, whether it’s families, communities, or people who believe they don’t have anything else in common. Beautiful tribute, Lyn. I was also very shocked by the news and saddened by it. He will be deeply missed. Thank you, Linda. He had a unique style that connected so well with people. It’s amazing, Lyn, that anyone could capture this particular sadness with Legos, but you do. And it’s funny that you mention “Hook” — I just read a memoir by a preschool teacher whose students were all fevered with the desire to sword-fight after seeing that movie! Robin Williams’s work had long arms indeed. Thanks for the chance to think more about him. Thank you for your comment, Jess. I’ve been doing Lego photography for a couple of years now, and I’ve found the minifigures to be very good at conveying emotion given the right setting and lighting. And that’s a great story about the preschoolers and “Hook.” There seems to be a whole generation of young people who grew up on that movie and challenged their parents, teachers, siblings and friends to sword fights. This is a lovely tribute Lyn. It is an excellent addition to the conversation. Thank you, Shelly. I’m glad you appreciated this, and your feature of other Lego tributes, including Harleyquin’s, inspired me to make my own.